Walt Disney Co. (DIS - Get Report) CEO Bob Iger may have acted out of spite when he shocked Wall Street last week with his decision to pull the entertainment conglomerate's content from Netflix Inc. (NFLX - Get Report) by 2019 to create a rival streaming service. 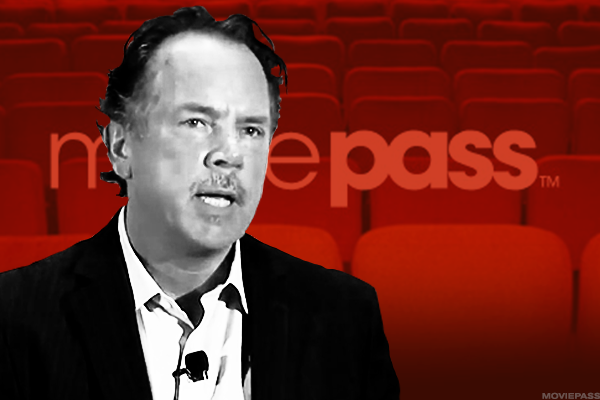 At least that was the thinking of MoviePass CEO Mitch Lowe, who served as the vice president of business development and strategic alliances for Netflix, founded in 1997, from 1998 to 2003. "Now, I don't have any insider information here, but I have a hunch that they had a failed negotiation and that was Disney's way of retaliating," Lowe said in an interview with TheStreet on Tuesday, Aug. 15. Lowe speculated that Disney approached Netlfix about entering into a merger agreement and that the streaming service provider shut the idea down. He said that in his time working closely with Netflix co-founders Marc Randolph and Reed Hastings, the company's current chairman and CEO, he learned that they envisioned building Netflix out as its own entertainment studio. Still, Lowe expects both Netflix and Disney to survive just fine on their own. Netflix said the company does not "comment on speculation." Disney did not return a request for comment. Disney said on Aug. 8 that it would launch a subscription-based ESPN digital service sometime early next year and then a Disney-branded television and movie streaming service in 2019, sending Netflix shares plummeting. The company said all of its films by Disney and Pixar will be removed from the Netflix platform beginning in 2019, and it would decide at a later time if it would also swipe Lucasfilm and Marvel titles. Can Alibaba Live Up to the Hype Behind Its 2018 Q1 Results? MoviePass' Lowe and Helios Matheson Analytics Inc. (HMNY - Get Report) CEO and chairman Theodore Farnsworth visited TheStreet's office on Tuesday to discuss their companies' own deal. Information technology services company Helios announced on Tuesday that it acquired a controlling stake in MoviePass, a subscription-based service provider for movie theaters. Under the deal, the companies launched an official subscription service from MoviePass, where users pay a $9.95 monthly fee to see up to one movie a day in any of the 3,700 participating U.S. theaters. Securities and Exchange Commission filings show that Helios agreed to purchase 51% of the outstanding shares of MoviePass common stock for up to $27 million. Still, AMC Entertainment Holdings (AMC - Get Report) said on Tuesday that it would be moving to legally block MoviePass from offering its service at its theaters, calling the cheap monthly fee "unsustainable."